'Coup De Grace' (Mary Dunn, R. 1990). Seedling L158-9. LA, 36" (91 cm), Midseason bloom. Standards dark orchid, texture-veined; style arms pale; Falls wine orchid, veined, lighter serrate edge, small yellow sunburst signal. 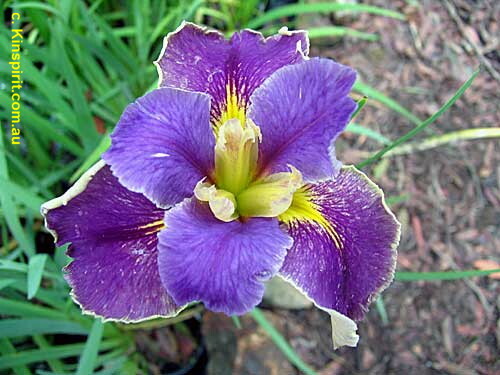 'C'est Magnifique' X 'Plantation Beau'. Bay View 1991.